Sorry, we are currently sold out of Star Sparklers. Please check back later. These are not "mini" sparklers—the star is a full 3.5" x 3.5" and burns for 55 seconds! Simply light the tip of the star and enjoy the sparkle as it travels down both sides. Love the nice big size and shape of these. Also a great price! Only knock against them is that they take an incredibly long time to light. Fast prompt delivery and everything in good shape. They are bigger then I expected, and came very quickly. These will be a hit at my wedding. Loved the product. Kids enjoyed it too. 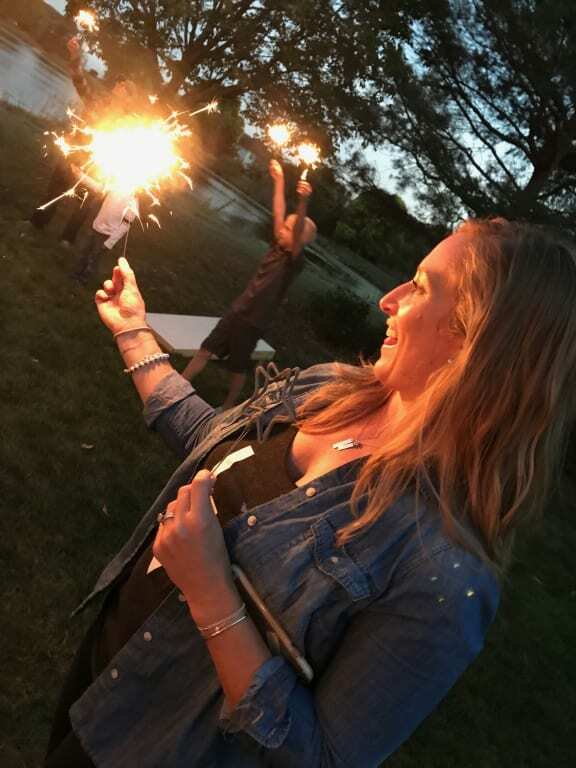 Loved these Star sparklers! Got them for a party we were hosting and it was a hit. 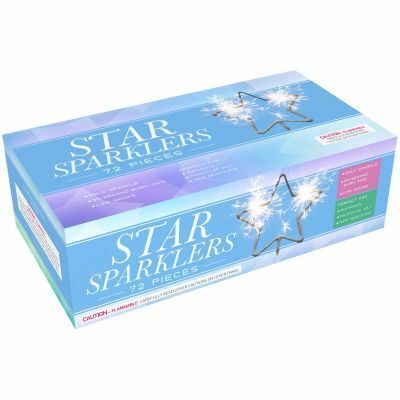 Super reasonable pricing, compared to other star sparklers pricing and quick shipping. Will order again! The perfect choice! The perfect choice! They were great for our 4th of July celebration! It's unique that it's star shaped which really adds in the holiday/celebration feel. Also if you know how to use a dslr camera and know how to edit on photoshop, you can create great photos with these cute sparklers. And its cheap for how much they give you! Definitely buy this if you're looking to buy sparklers for a big party. It arrived on the exact day it suggested as soon as it shipped. Excellent product, was delivered right away and came in great condition. Came on time, in great condition and ready to use. The stars were great sparklers! The stars were great sparklers! We used these as an office handout and our clients loved the uniqueness of them! We bought some extras and used them ourselves at a 4th of July BBQ and they were a big hit too! The only downfall is they burn out very quickly!